How many friends have you got on Facebook? On average it is 130, though teenagers have an average of 510 friends. How many Twitter accounts do you follow? The average is 208. The numbers are not as big as you might have been expecting. True, there are some people who follow thousands of accounts on Twitter and have thousands of “friends” on Facebook. At the same time they have thousands of connections on LinkedIn. Goodness me, before this year is out some people will be connected to everyone on the web…! But of course, they will not be. Even if you have 130 friends it is difficult to remember them all. If you have thousands – heck, you cannot really connect with them all, let alone have any kind of real relationship with them. Human beings have a fairly constant number of contacts in their social networks of all kinds – whether online or offline. This is called the “Dunbar Number” after anthropologist Professor Robin Dunbar who studied social networks in a range of primates, including humans. He found that in humans our social group averaged 148, rounded up to 150. The Facebook and Twitter averages are pretty close to the Dunbar Number. New research, however, adds an interesting twist to the social network debate. The study shows that humans tend to “tidy up” their social networks, losing members as they gain members. This is common sense, of course. There are bound to be people you used to work with, for instance, whom you no longer have any contact with. And there are probably new friends from new organisations or groups you are coming into contact with as you start up new things, like evening classes or new business ventures. The new study shows, though, that you will allow some of your older connections to drop out of your social network as you bring in new members. In the past, when you only had to manage handfuls of new and old contacts moving in and out of your social network this was easy to manage without any thought. But nowadays with hundreds, if not thousands, of contacts it is easy to lose connections without any thought. The fact that we naturally appear to balance out our social networks is going to be impacted by the sheer size of those networks these days. 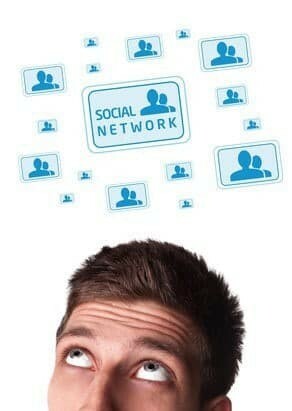 You might have 130 friends on Facebook and 208 people you follow on Twitter, but by the time you have added in all your other networks you will have thousands of connections. Managing that using the subconscious tools that have stood the test of time for a mere 150 people is going to be tough. It means that you can no longer just “do” social networking. It needs managing, thinking and regular maintenance. Otherwise you could be subconsciously ditching people from your connections who could be useful to you and your business. Social networks have moved on from being what humans did naturally; today they need careful planning and analysis if you are to make the most of them.